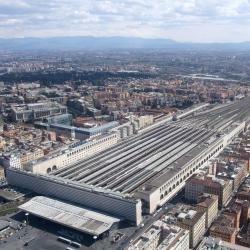 Looking for hotels near Manzoni Metro Station? 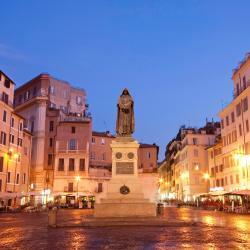 Relais 155 is located 820 feet from Rome's Manzoni Metro. Free WiFi access is available. Each room here will provide you with a TV and air conditioning. Room with a view 105 is a guest house offering rooms with contemporary-style décor in Rome, a 5-minute walk from Manzoni Metro Station. Located in Rome, an 8-minute walk from Domus Aurea, Colosseo Accomodation Room Guest House has a bar. Located in Rome, within a 14-minute walk of Domus Aurea, Appartamento Grazioli offers accommodations with air conditioning. Guests staying at this vacation home can use the free WiFi. Located in the Monti district of Rome, Merulana Holidays has a bar. Around a 7-minute walk from Domus Aurea, the property is also 0.8 miles away from Santa Maria Maggiore and offers free WiFi. Luxury Domus Amadeus offers accommodations in Rome. Porta Maggiore is 1640 feet from the property, while the Colosseum is a 20-minute walk away. Free WiFi is provided throughout the property. The Paba is a small hotel set in a residential building less than 5 minutes' walk from the Coliseum. All rooms are en suite and come with air conditioning. A perfect place to stay in Rome for a few days! Just 1148 feet from the Coliseum, Hotel Lancelot offers a furnished terrace and garden, panoramic views of the surrounding monuments, and an on-site restaurant. WiFi is free throughout. I stayed here for 4 days with my wife and son. We really enjoyed our stay. Located near the Colosseum and the Roman Forum, the Valeri is a small boutique hotel set in a historic building. It offers modern air-conditioned rooms and a sweet daily breakfast. Lovely place and will definitely stay there again. Featuring a shared rooftop terrace, The Hive Hotel is 984 feet from Santa Maria Maggiore Basilica. The hotel provides free WiFi throughout and air-conditioned rooms. The room was large and spacious, and the hotel itself was in an amazing location. 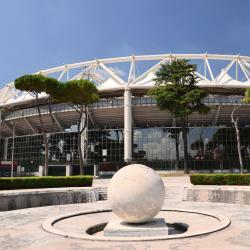 Hotel Tito is located in Rome, 328 feet from Termini Station. It offers free WiFi and elegant rooms with air conditioning. Fantastic little boutique hotel on L2 of a very secure building ~50m walk from Termini Station. Hotel Central Lodge is located in the center of Rome, a 10-minute walk from Termini Train Station. Free WiFi access is available throughout. Convenient location in Rome for a great price. Located in the center of Rome, Hotel Mosaic offers modern accommodations with free Wi-Fi. Repubblica Metro Station is 1640 feet from the property. The room was large and had many unexpected amenities. 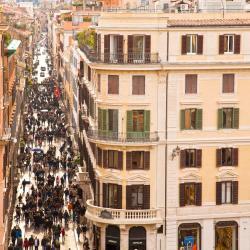 Opened in 2012, the Demetra Hotel is opposite the Rome Opera House and 5 minutes' walk from Termini Station. Location was excellent, Close to the Roma Termini. Close to all the sites. Hotels with great access to Manzoni Metro Station! Surrounded traditional trattorias and wine bars, the luxurious Capo D’Africa is just a 5-minute walk from the Colosseum. Breakfast, drinks and snacks are served on its rooftop terrace. Dzhuseppe and Katya wonderful, knowledgeable, helpful. Breakfast very good and service very fast. Overlooking Rome's Santa Maria Maggiore Basilica, Hotel Amalfi offers air-conditioned rooms, an extensive buffet breakfast, and free WiFi throughout. Termini Station is 1969 feet away. The room was spacious and very well appointed. Admire an outstanding view of the Colosseum over breakfast at the rooftop terrace at Hotel Palazzo Manfredi. Rooms here are spacious and offer free Wi-Fi and Sky satellite TV. I have never been to Rome and was traveling solo. 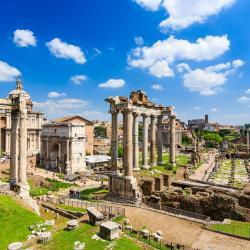 Hotel Fori Imperiali Cavalieri is located on a cobbled side street just across the road from the Roman Forum and the Coliseum. Very clean and great location! Breakfast was very nice with good variety. Very helpful staff. 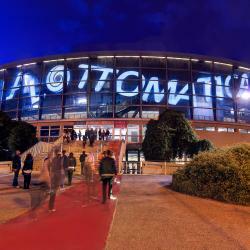 People are talking about Manzoni Metro Station! Explore guest hotel reviews featuring "Manzoni Metro Station"